Hero fisherman of Kerala floods gifted a new Marazzo by Mahindra dealer! Remember the photo that went viral during the worst days of Kerala’s recent floods? It was a picture of a fisherman, down on all fours in the flood waters, letting a woman step on his back to get into a rescue boat. The fishermen who came out on to the flooded streets with their fishing boats were widely hailed as heroes of the rescue and relief operations. The famous rescuer was a fisherman named KP Jaisal. Recognising his actions, a Kozhikode-based Mahindra dealer Eram Motors has gifted him a brand new Mahindra Marazzo, which was launched just this week at Nashik by Mahindra. The Kozhikode district’s first Marazzo is now Jaisal’s own. 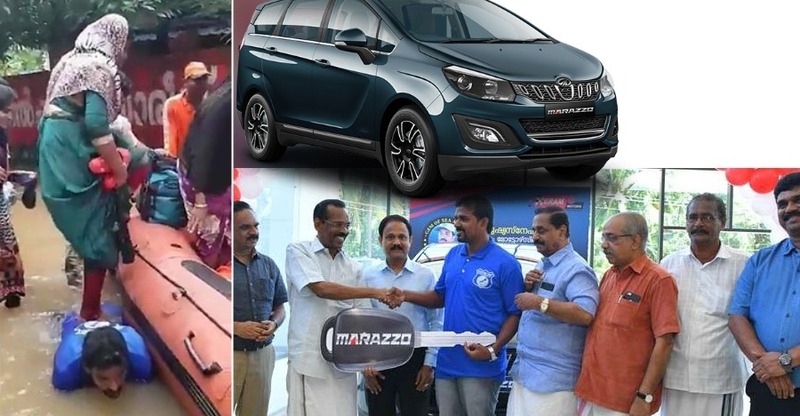 Kerala Excise and Labour minister TP Ramachandran officially handed over the key to the Marazzo to Jaisal. Eram Group CMD Siddique Ahmed, mayor Thottathil Ravindran, Kozhikode Collector U V Jose participated in the event. Jaisal told the audience at the event that he was extremely happy to have received the gift, and would use it for social good, whenever he can, in the future too. Jaisal told the audience and media that he was told by the NDRF team there was a stranded woman who was in a location difficult to reach. He expressed his willingness to give it a shot, and the NDRF provided their rubber boat to Jaisal. As the woman was suffering from bleeding, he thought that she would have found it difficult to step into the boat on her own, and that was what prompted him to act as he did. Jaisal and his friends Afzal and Muzeen were awarded a ‘Gem of the Sea’ citation too at the event. Mahindra and Eram Motors said that the gift is to encourage Jaisal and people like him in the future, and to recognise that he has become a role model. 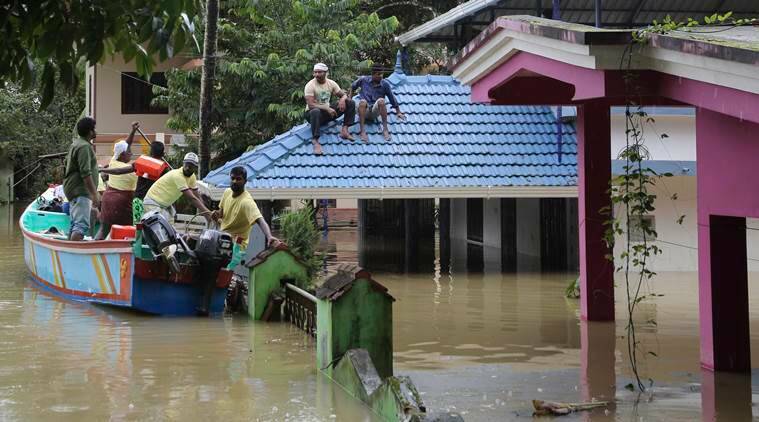 After the rescue at Vengara, which went viral thanks to the photo, Jaisal and his friends had proceeded to other flood-affected locations and continued their efforts. About 3000 fishermen participated in the rescue and relief efforts for a week, often transporting their boats on trucks to flooded areas far away from the sea. Over 480 people died in the floods that began in July and peaked in August when the shutters of several dams were opened simultaneously – which coincided with a full day of receiving 310 mm of rain on 8 August 2018.